It is with a heavy heart that I share the sad news that Mary Marshall (Sarjeant) passed away peacefully in St Luke’s Hospice on Thursday 19th July following a short illness. She was 67. 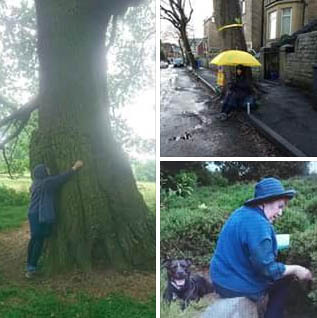 Many of you will know Mary from her involvement in the campaigns to save Sheffield’s street trees (STAG and Save Crookes/Western Road/Walkley Trees), to restore local democracy (It’s Our City), and from STARTS (Street Tree Art Sheffield) sessions, which she loved to attend. Mary was a staunch supporter of these and many other causes, and she worked tirelessly, often quietly behind the scenes. Her contributions cannot be underestimated and she will be sorely missed by many. ‹ What does the new Injunction mean? How good to hear of what she was doing to help save Sheffield’s beautiful trees. How sad to hear of her passing.